Ann, one of our readers sent this report today - March 14th, 2010, 4:30pm. What a wonderful sight to see, approximately a hundred Tundra Swans in a flooded farmers field on Hwy 16, between Belgrave and Brussels Ontario. 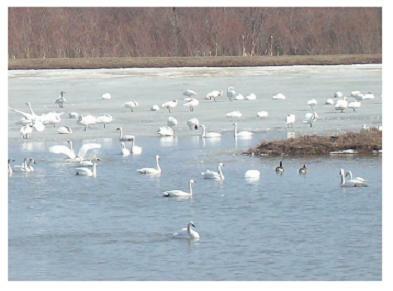 Also, Sommer, one of our readers spotted large flock of these birds in farm field 5 km south of Cayuga, Ontario.